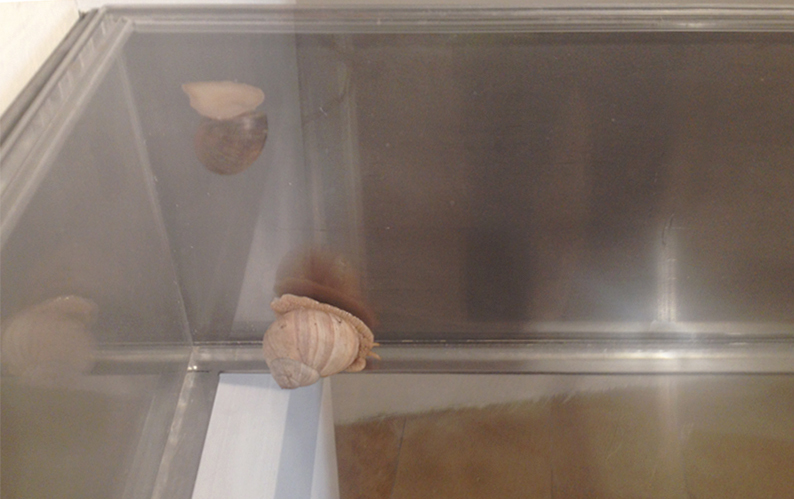 In may 2015 i used a donald judd as a living habitat for snails. 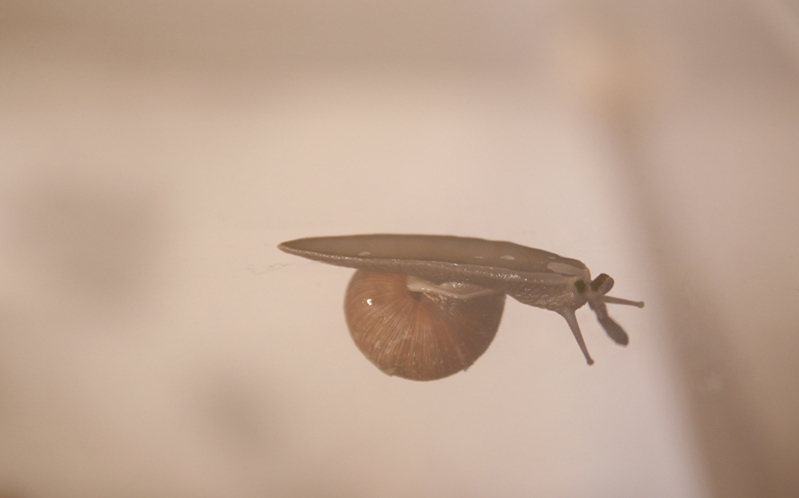 The artist has here recreated one of Donald Judd’s iconic metal stacks, which has been altered so as to function as a living habitat for Roman snails. 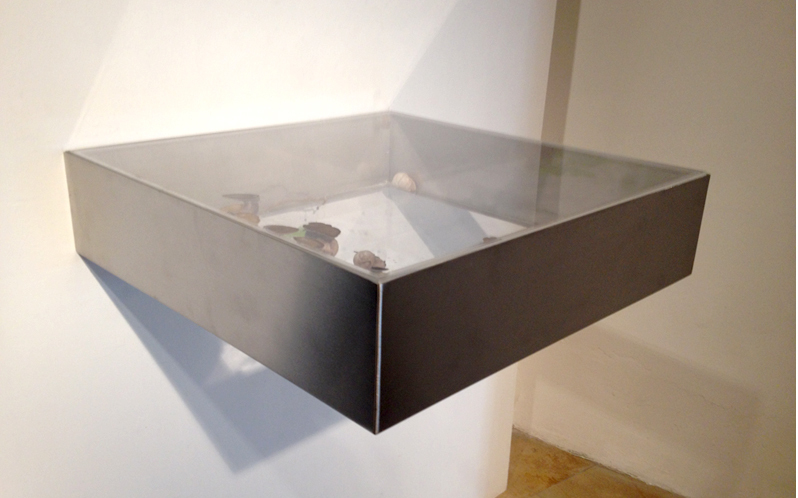 Their movements leave iridescent traces on the stack’s plexiglass surfaces, blemishing the pristine minimalist object and undermining the human-centered phenomenology of the ‘encounter’ that informs Judd’s work. 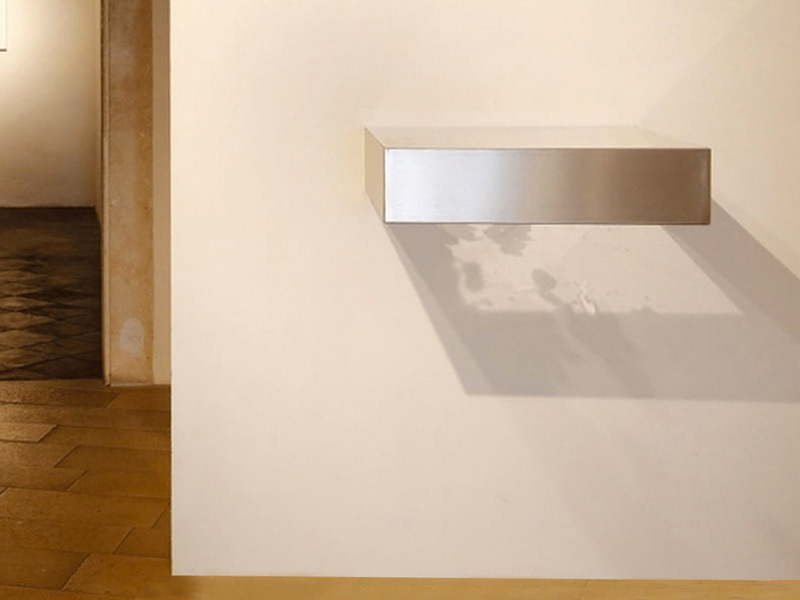 The static art object is thus displaced and its sense of permanence erased. 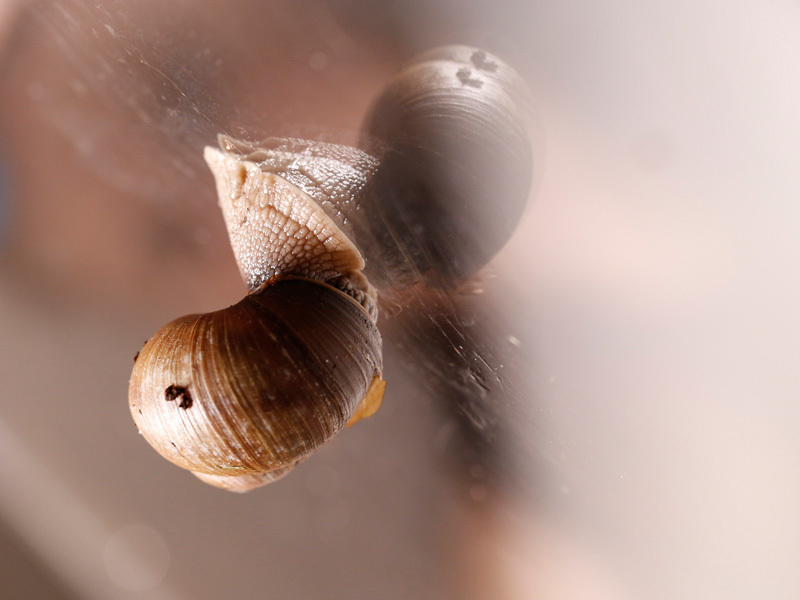 Instead living organisms become the work’s main actors, with the snails as ephemeral mark makers whose movements cast unpredictable shadows on the wall and floor of the gallery.